This ZOLL AED Wall Sign will allow your AED to be located in case of Sudden Cardiac Arrest. To be indemnified under the Good Samaritan Law, follow manufacturers guidelines. Use AEDSafetrack Program Management to document that your AED is compliment with local and state laws. 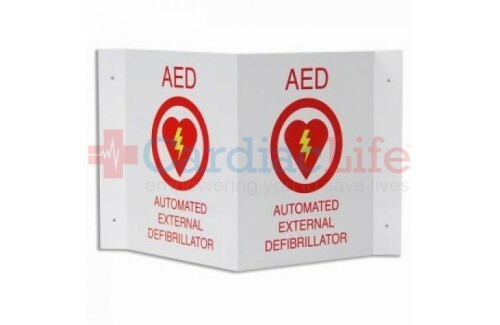 Have a different 3D AED Wall Sign in mind? We have other options to choose from. 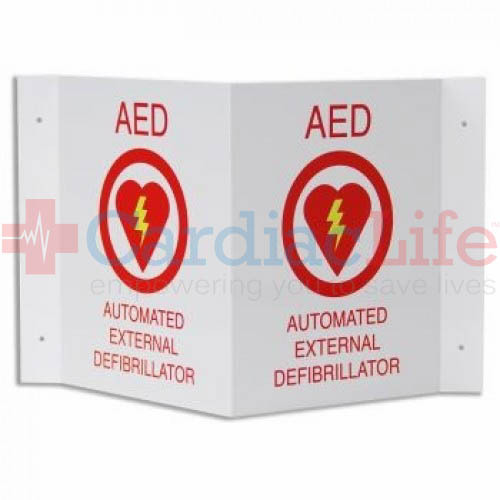 Fire Hose Location Vinyl Sign 4" x 18"
AED Sign Projecting Aluminum 10" x 14"
3D Plastic AED Tent Sign - 6" x 5"
Glow-in-the-Dark Compact Emergency Shower Tent Sign-7"x10"
AED 3D Tent Sign with Arrow Plastic - 4" x 18"
Projecting AED Wall Sign - 9" x 12"
Emergency Shower/Eye Wash Location Sign-4"x18"